When you browse Brillier's website, you will find a diverse collection. 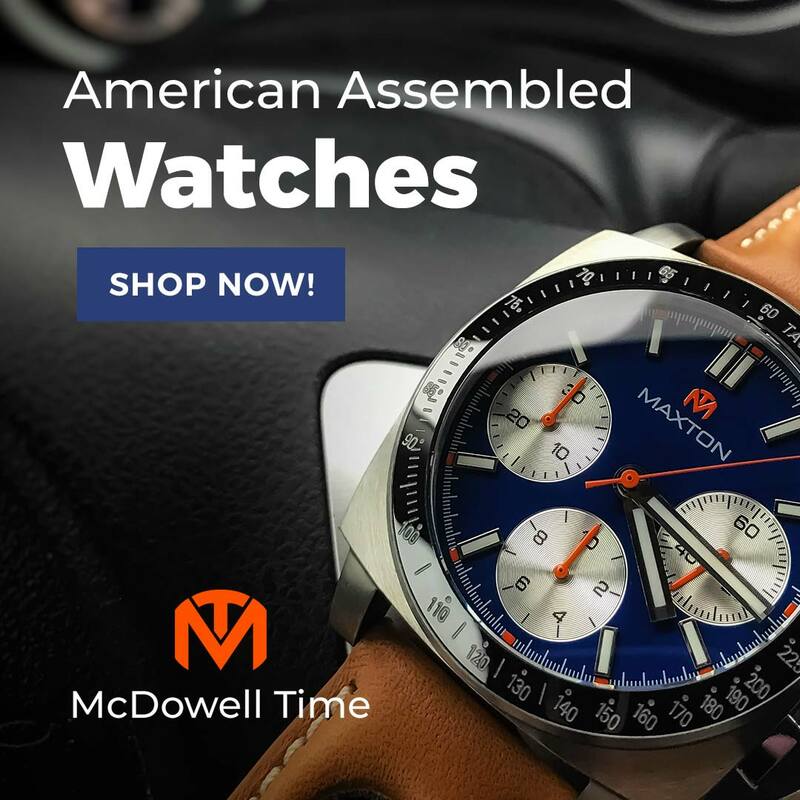 This Arizona-based company takes great pride in the fact that its watches are designed and assembled in the USA and to my eye, the best example of their ethos is the Americana Collection. The two "Chapters" in the series include four dial designs drawn from different American influences. For this review, I requested a Chapter 2, Eastern Standard Steel, which pays tribute to turn of the century railroad watches. The watch arrived a leather pouch tucked inside a book. Well, a box that looks like a book anyway. And why not? They did call it "Chapter 2" after all. You can use it to stash valuables in your library, or to convince your significant other that you didn't really buy another watch. "Oh this? Just a little light reading..."
Like all Brilliers, the Americana Chapter 2 is a quartz. It runs a Swiss Ronda 1069 Slimtech, a 6 jewel, gold-plated movement with an end of life indicator. Why not an American movement? Well, when you find one, you let me know. The folks at Brillier would love to offer a true all-American watch, but that is a story for another day. For now, these Rondas will do the trick as they are inexpensive, accurate, and long-lived. The watch has a "vintage white" ceramic dial that is warmer than most bright whites with just a touch of ivory. This is a "Montgomery Safety Numerical Dial" layout, which is perhaps the quintessential American railroad dial, featuring large Arabic hours are ringed by an index labeling every minute with the 5's printed in red. (You can read more about this design over at Heritage Pocket Watch). The dial's center is recessed, and the small seconds near 6 o'clock is sunken deeper still. Fine strokes, light serifs, and ball ends on the typeface lend period correct charm, and blued spade hands complete the picture. It is not hard to imagine this watch face in the hands of a Phoenix stationmaster in 1920, waiting for the Southern Pacific to pull in from Tucson. 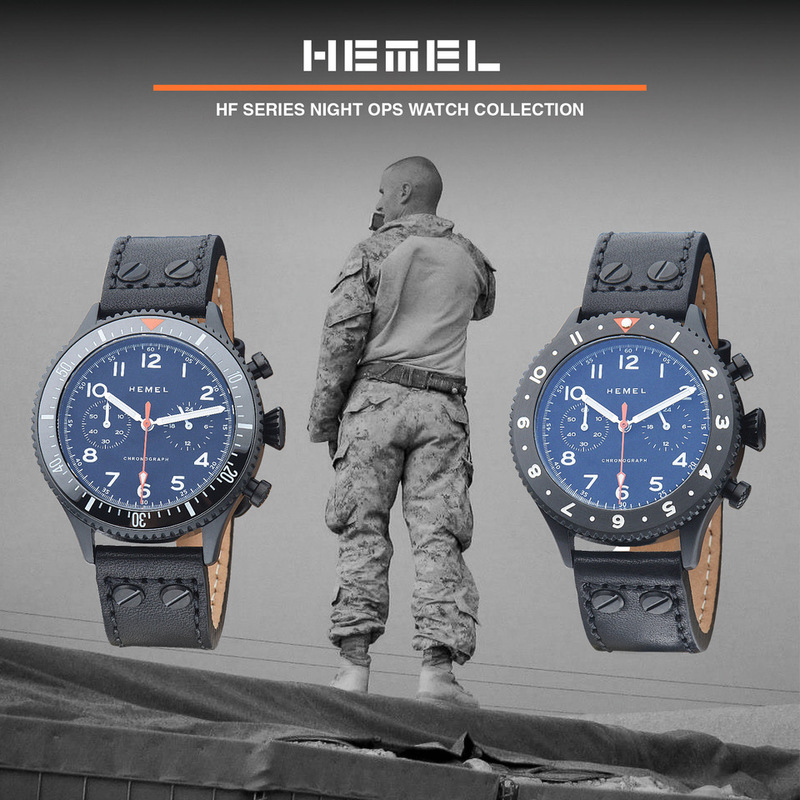 Americana series watches are not small. 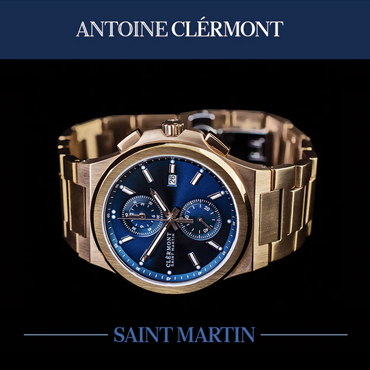 The polished stainless steel case is 43mm across, 13mm thick, and just over 51.5mm long. With those dimensions I expected it to wear large on my 6.5" wrist but once again I was reminded that reading dimensions online is a poor substitute for actually placing a watch on your wrist. I found it sat quite comfortably and was a nice complement to a jacket and tie. 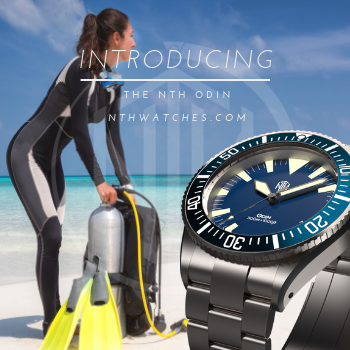 This is a good thing, because with no lume and only 30 meters of water resistance, the Brillier is best suited as a dress watch. Curved sides and slim, straight lugs lighten the look. It is a stately case that carefully treads the retro line without appearing kitschy. A fluted, bun shaped crown is right at home here, as are the rounded lug ends ends and the decorative exposed screw heads (the strap attaches with conventional spring bars). The case back is a treat, embellished with a detailed engraving of a steam locomotive. The only thing that lets the case down is the engraving on the side. If you are writing something on the exposed sections of your case, it had better be something special. The phrase "Limited Edition" written in generic script is not. I would have been happier without it, but it does not detract too much. Many factory watch straps look like afterthoughts, but not this one. The Brillier's strap is a high quality piece, handmade in the USA of soft, black calfskin leather that is lightly padded with off-white stitching to complement the dial.